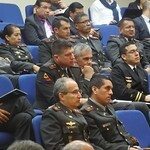 The Perry Center Director, Lieutenant General (ret.) 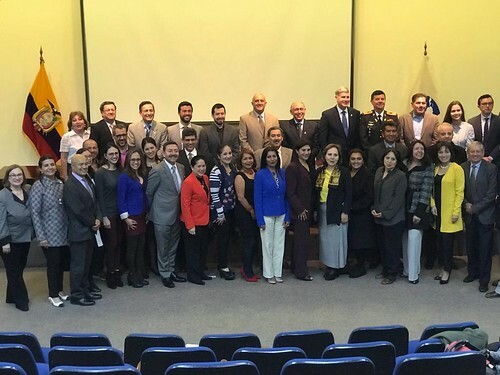 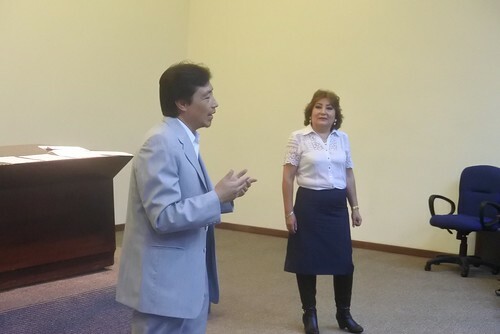 Frederick Rudesheim, professors Celina Realuyo and Dr. Boris Saavedra along with Kara O’Ryan from the Alumni and Academic Outreach Office traveled to Quito, Ecuador from 1-3 April, 2019 for three days of academic and institutional exchanges. 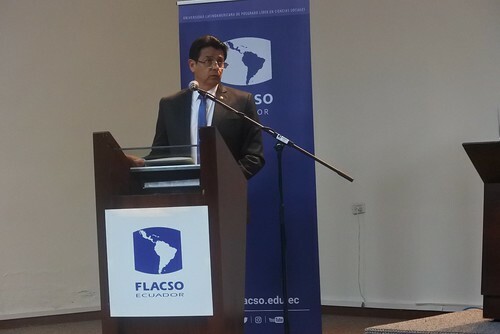 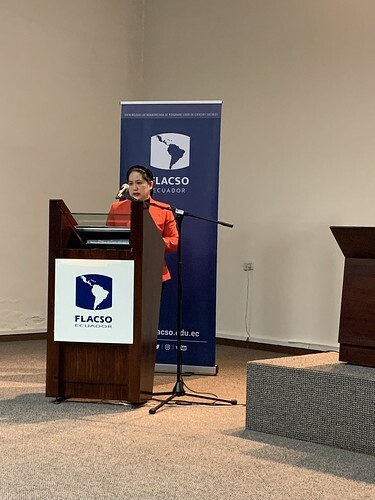 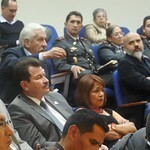 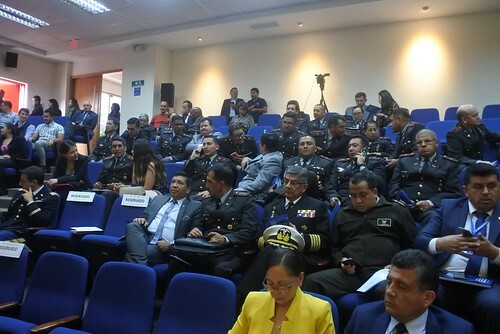 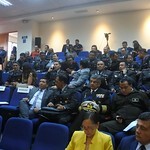 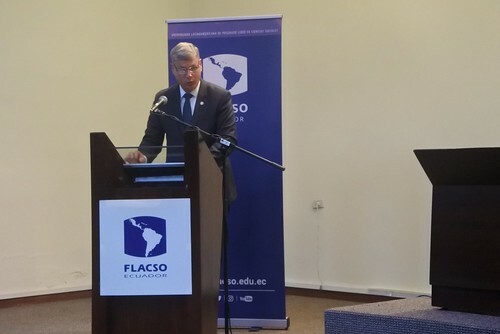 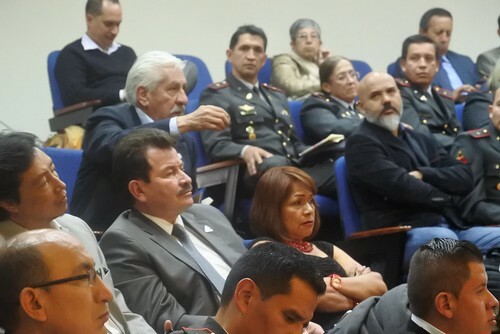 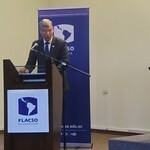 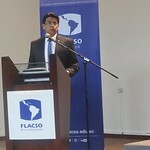 Over 80 military officials, police and civilians from the private and public sector attended the two-day international seminar "Hybrid Threads and New Actors in International Security" hosted by FLACSO Ecuador. 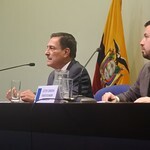 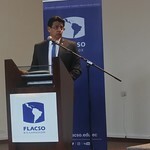 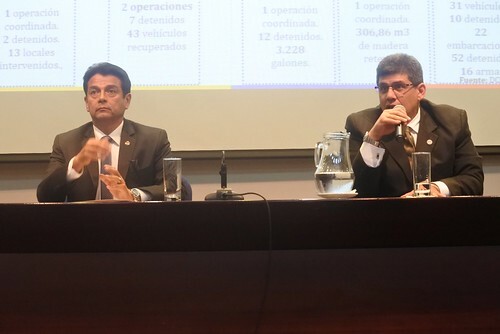 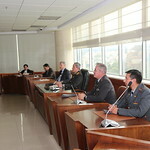 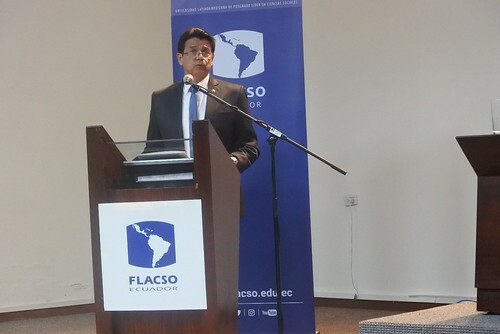 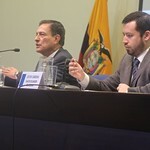 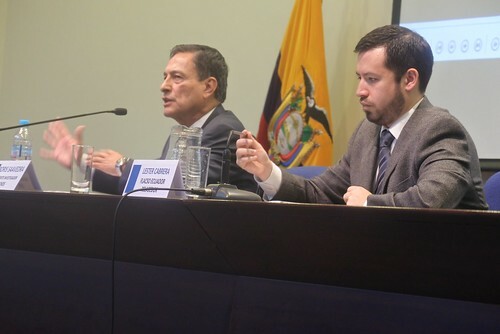 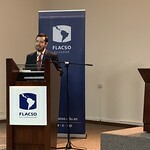 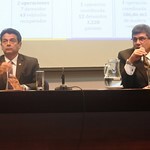 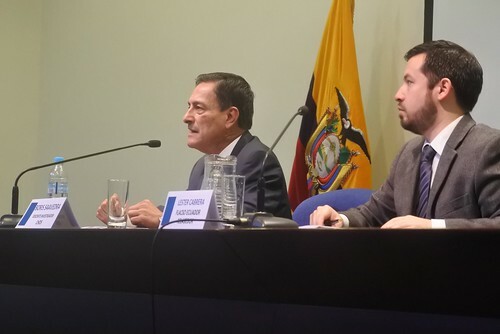 Minister of Defense Oswaldo Jarrin gave the keynote address, opening the seminar which featured presentations by several subject matter experts and researchers from Ecuador, United States and Chile. 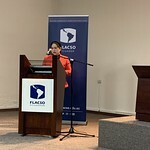 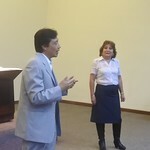 Dr. Saavedra gave a presentation on cyber security strategy and policy and Celina Realuyo addressed the complex and varied issues around transnational threats in Latin America and provided an overview of US policy in the region. 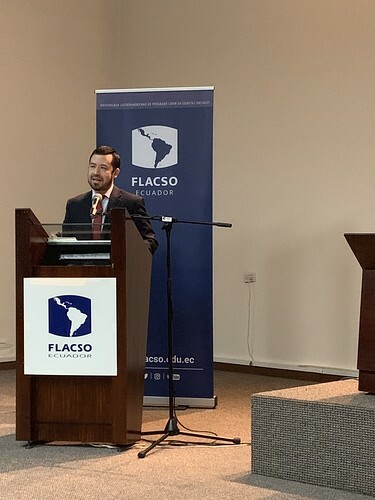 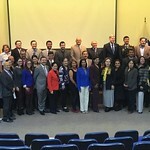 A Perry Center alumni event was also held at FLACSO which was attended by nearly 40 resident course graduates and offered an opportunity for focused networking and a reenergizing of the Ecuador Alumni Chapter. 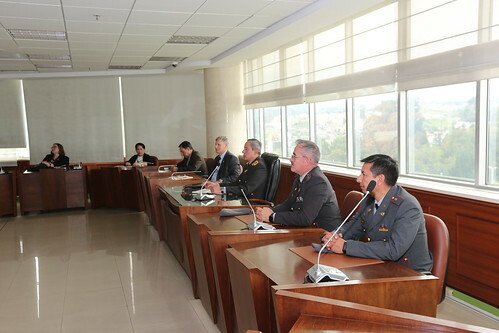 Additionally, the Perry Center team was invited to visit the Ministry of Defense and two of its higher learning institutions, the Military Academy of Defense (ADEMIC) and the University of the Armed Forces (ESPE) which rounded out the short, but impactful trip. 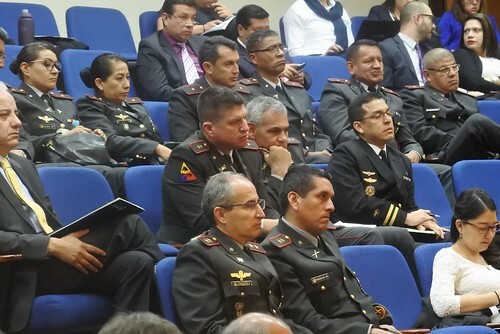 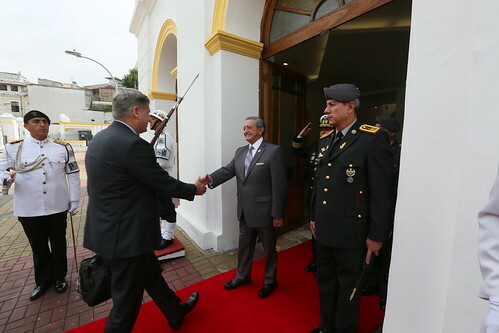 These institutional visits and the academic exchanges served to strengthen ties with Ecuador and pave the way for future security cooperation exchanges.